nero profumo: Parfumerie Générale - Huitième Art - Phaedon: An Interview with Pierre Guillaume by Alfarom. Parfumerie Générale - Huitième Art - Phaedon: An Interview with Pierre Guillaume by Alfarom. - You're one of the most prolific perfumers out there and your main line Parfumerie Générale celebrated its 10th birthday a couple of years ago. Congratulations and here's to many, many more years. How do you keep your creativity alive and vibrant? I have the privilege of being able to dedicate myself almost exclusively to creating within the Studio PG… So it’s my daily life, my full-time job… I can go on for several months without coming up with a validated formula, and then “give birth” to one or many satisfactory ones within a few days… Creativity is a matter of inspiration, which is pretty unpredictable. Anyway, the pace at which fragrances are created has to be dissociated from the launch calendar, and at PG, since I’m my own boss, I put out what I feel like putting out when it feels timely… I propose and the public disposes! - In my opinion, you're responsible for some of the most novel accords in modern perfumery and on top of that, you've been able to bring some popular themes such as, say, gourmands, to a completely higher level. Do you have any personal approach or technique when composing a fragrance? Thank you for the compliment! I’m always a bit surprised that my fragrances are stuck with that “gourmand” label… there’s ethyl maltol (a molecule that smells like sugar) in Sucre d’ébène, L’oiseau de nuit and Cèdre Sandaraque… and not a trace of it in the rest of my output. I don’t have a sweet tooth but I do love balsamic notes (benzoin, tolu, vanilla, cereals, cocoa, coffee, milk, honey…). These notes are not synonymous with sugar in perfumery but personally, they inspire me a lot and I like to use them in various registers and themes, from the Orientalized bitterness of Aomassaï (where all the balsamic notes are treated with roasted, toasted, burned, pyrogenized aspects) to Cozé (which plays on the aromatic complexity of a blond tobacco leaf and its cocoa, fig and coffee aromas). - We often read about the photo-refining technique you use in some of your fragrances (Cozé is the first that comes to mind). Can you tell us about it? I’ve only applied it to two of our compositions: Cozé and L’eau de Circé. This technique can be understood as a controlled, accelerated aging process: it’s used to add a patina, expression lines to the composition. The UV radiations don’t destroy the olfactory impact of certain ingredients in the formula: they soften and modify it. There’s no point in using the technique for citrus-based compositions or white floral bouquets. For Cozé, by acting on the impact of the spicy notes, it adds vibrancy, whereas in L’eau de Circé, by making the osmanthus/rose/sandalwood accord wilt a bit, it adds a certain old-fashioned, melancholy touch. - A lot of new launches in the last couple of years, including some “exclusive” stuff such as Arabian Horse. Why the need to differentiate some of them from your “regular” range? These fragrances were intended as objects of contemplation, exchange and reflection with the visitors of Pitti Fragranze in Florence, a bit like certain models are only made to be displayed in car shows. I rewrote formulas I’d composed a decade ago: Cozé (which became Cozé Verde) and Cuir Venenum (which became Arabian Horse). The point was for the brand to be present, but not just from a commercial standpoint, and to take stock of my past ten years as a perfumer by retracing my steps. Elena & Zoran from Fragrantica urged me to produce small batches of Arabian Horse and Cozé Verdé because they thought it was a pity to restrict them to being “show fragrances” and not make them available to fans of the brand… We received other requests and we decided to produce a micro-series that will be exclusively available at our online shop. - Some prices are getting crazy when it comes to niche and too often they don’t reflect the quality of the ingredients or the artistry. It seems as though a lot of lines that pretend to be high-quality are just inflating their prices to give a false idea of luxury. What's luxury in your opinion? I discussed this with Françoise Caron a few months ago: in the end, the juices that cost the most to produce aren’t automatically the ones that sell the most… everyone in the industry knows it. As far as I’m concerned, luxury is rarity… I don’t see how you can pretend to be rare and different if you’re in all the department stores… Besides, I’m afraid a lot of brands base their attractiveness solely on their price point: “If I’m more expensive than my competitors that means I’m better.” I’m not reaching out for that type of clientele. - Beside Cozè, what are your most widely acclaimed fragrances? Louanges Profanes for women and L’eau guerrière for men are our best-sellers world-wide. - Which fragrance did you compose so far that you're particularly proud of but you think it didn't get the attention it would have actually deserved? Papyrus de Ciane was a lot of work because I had one technical issue after another… after two years of effort I achieved my goal and presented the fragrance, which was acclaimed by professionals and critics… but it’s right at the bottom of our sales figures! - It would be interesting to smell some of your compositions in extrait strength. Should we expect this to happen at some point? IFRA constrains us: depending on the formula, you can only use the oil at a certain concentration, which varies according to the juice’s chemical composition. So it’s a matter of aesthetic relevance but also of technical feasibility from the regulatory standpoint. Some notes like Isparta, Ilang Ivohibé or Myrrhiad would lend themselves to this, so… to be followed. - When it comes to your perfume-related background, what are your points of reference? - What's your role in Phaedon? 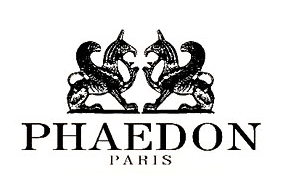 Buying up Phaedon gave us the opportunity of extending our offer to home fragrances. The candles are manufactured by Guilhem Rousseau, who produces part of the catalogue of Diptyque and LVMH… This has allowed us to offer a catalogue of original scents (no fig, tuberose or wood fire) while immediately achieving a high quality standard… As far as the EDT and EDP are concerned, I had already contributed juices to the first series. After buying up the company, I was able to reformulate the entire range based on my tastes and quality standards, also to invite lesser-known perfumer friends to showcase their talent through new compositions – Jean Claude Gigodot, Danièle Maniquant and Anne Cécile Douveghan come to mind. - What's next at Parfumerie Générale / Huitième Art / Phaedon? There’s a big surprise in store at Parfumerie Générale in 2015 but it’s still a secret. Phaedon will add more home fragrances to its catalogue, and at HAP, in answer to our customers’ requests, we are introducing a black, matte 100ml Cyclops bottle alongside the 50ml format. A 12th fragrance will be presented at Pitti and will be available in September. This interview was originally published on Basenotes. Great interview. I love it when perfumeurs reveal a few tricks of the trade. I really admire and love his lines and I'm pleased to hear that he won't be going after the uber expensive part of the market. Cheers!